I am submitting this one for the two-week CAS-ual Friday Birthday Bash Challenge. It is the owner of CAS-ual Fridays birthday and I placed my first order from CAS-ual Fridays and I had hoped that I would receive them to submit for this contest. Canada Post… What more can I say! LOL. 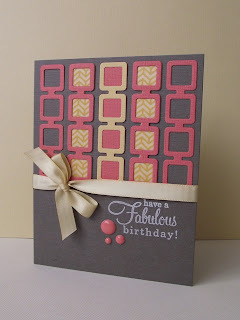 So, here is my submission, I am enjoying working with grey cardstock lately. Thanks for taking the time, and a happy sunny Sunday! I am going to go enjoy the sun with my dog! What a fun way to use your dies ... just swap the contents around! Fun card, Kim. 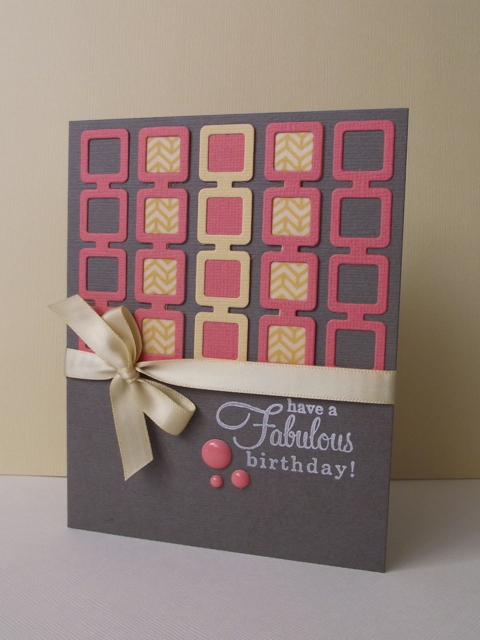 So glad you got some CASual Fridays stamps ... you'll love 'em! Thanks so much for joining the CAS-ual Fridays Challenge! Ohh... awesome! Love the graphical background you created with the dies!